Enjoy the best inspirational, motivational, positive, funny and famous quotes by Annabel Park. Use words and picture quotations to push forward and inspire you keep going in life! Friends, if it matters to you, I think it is less important that we agree and more important that we learn to disagree with respect. Let's not expect to agree and get frustrated when it doesn't happen. Let's strive to hear each other out while bringing out the best in ourselves and others. I know it's difficult because I feel it everyday. But I also know it'll be good for us as individuals, for the organization, and the country. I invite you to strive with me and help shift our culture. Let us be clear about our choice. When we raise taxes on the wealthiest Americans, no one dies. 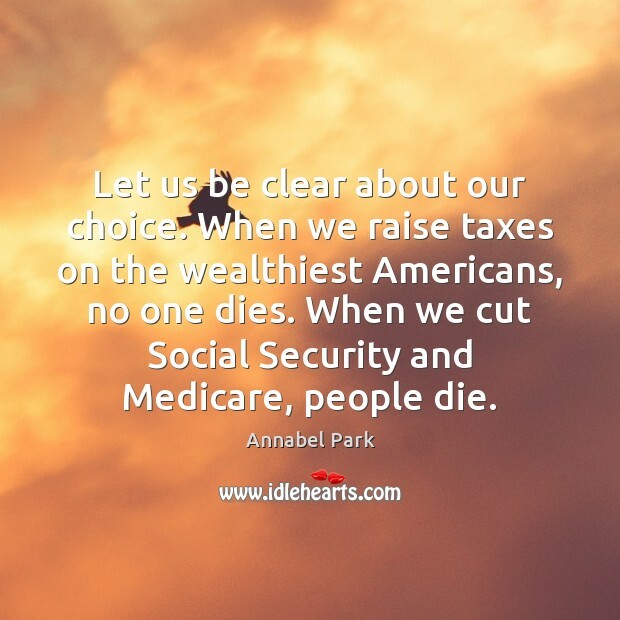 When we cut Social Security and Medicare, people die. 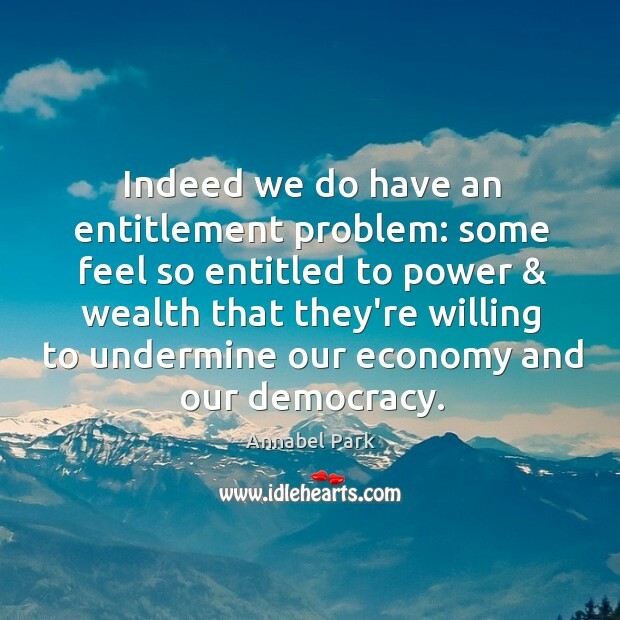 Indeed we do have an entitlement problem: some feel so entitled to power & wealth that they're willing to undermine our economy and our democracy.